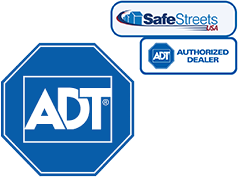 There are tons of choices when it comes to home security systems, and some are definitely better than others. The trouble is, what’s available today isn’t the same as what’s available tomorrow. New technology is emerging all the time. Some of these advancements are great, and some aren’t so great. Here at InHomeSafetyGuide, we like to check out some of the newest and coolest innovations and share them with you. The newest, coolest innovation in home security is definitely the BeOn Home light bulb system. Home security systems aren’t for everyone. They can be bulky, confusing, and expensive, not to mention, a bit of an eyesore. All those cameras, sensors, and equipment can really affect the overall feel of your property, both indoors and out. But that doesn’t mean your family and your belongings shouldn’t be protected! Enter the BeOn Home light bulb system. It really is as simple as screwing in a light bulb. These bulbs screw into your existing light fixtures, making them completely invisible. The question is, how in the world is a light bulb supposed to protect your home and your family? Each bulb contains a smart module. The module in each bulb is able to make it look like you’re home even when you’re not. That’s because it observes the times when you turn your lights on and off each day, learning your patterns and repeating them while you’re away from the house. All you have to do is activate your security lighting with the help of an app. That’s not all the light bulbs do. In addition to repeating your patterns of behavior, the lights will automatically turn on when the doorbell rings. If a burglar is testing the waters by ringing your doorbell, the lights will scare him away before he thinks about letting himself in. Tired of fumbling around for the flashlight every time the power goes out? Live like you normally do without the need for a generator. BeOn Home light bulbs are rechargeable and work for up to four hours in the event of a power outage. You never need to worry about plugging the smart module into the wall in order to charge it either. The battery charges every time the light bulb is turned on. It’s easy to panic if you experience a fire, and finding the door to safety can be a lot harder than you think. Not only do these bulbs turn on automatically when the power goes out, they also turn on if the fire alarm goes off, ensuring your way to safety is perfectly lit. This can greatly reduce the time it takes for you and your family to escape to safety, which can ultimately save you or a loved one’s life. Just because they turn on and off automatically, doesn’t necessarily mean they provide a lot of quality lighting. The good news is, these light bulbs are just as good, if not better, than the ones you’re already using in your home. They are LED light bulbs, which means they last for a really long time. How long, you ask? Up to 22 years when used 3 hours a day. They only use 13 watts, making them 75 percent more efficient than standard light bulbs. However, they give off 60 watts of soft, warm light, perfect for any interior space. Different packages are available, depending on the size of your home. Of course, the more bulbs you purchase, the more you’ll save! If you’re not quite sure about the bulbs, but you’d like to give them a try, there’s no reason to be worried. BeOn Home offers a full 100-day trial and a 3-year warranty. Home security just got as simple as turning on the lights!